QUALITY AUTOMOTIVE REPAIR AT A FAIR PRICE! Come visit Palm Beach Performance in West Palm Beach! We are proud to specialize in Auto Repair. As the premier auto repair and tire shop in West Palm Beach, our highly-trained automotive mechanics take great pride in supplying: Transmission Repair, Engine Repair, Tire Shop, and Brake Repair. Each of our reliable specialists undergo extensive automotive repair training to meet all your auto repair needs. 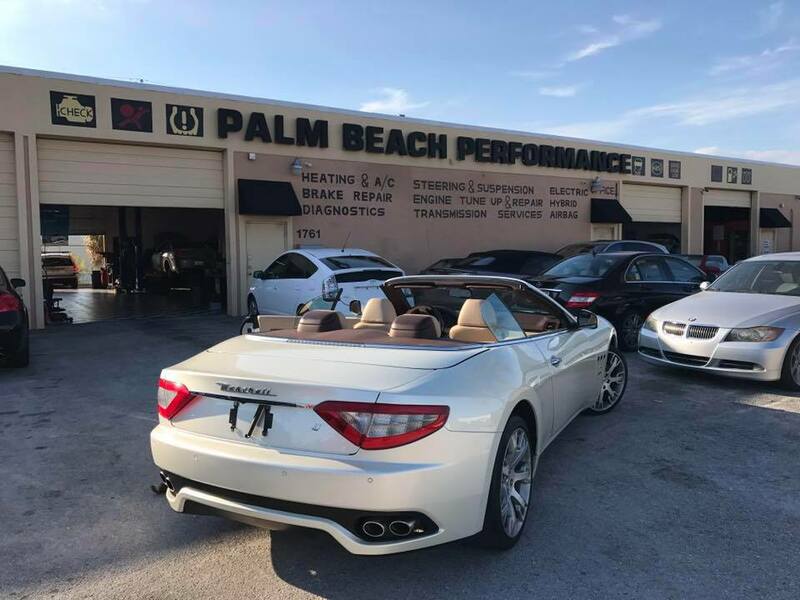 The owners and maintenance experts of Palm Beach Performance have been honored to serve West Palm Beach with over 22 years of automotive experience. While we focus on Auto Repair, Transmission Repair, Engine Repair, Tire Shop and Brake Repair, we also provide a long range of other auto repair services listed on our services page. Our auto repair experts have built our reputation by providing consistently superior service here in West Palm Beach. No matter what your vehicle needs, come see us at Palm Beach Performance today! From Brakes to transmission to engine work, we are the best one stop auto repair shop in West Palm Beach. We provide trustworthy, fast, reliable, and quality work at the right price. Don’t just pass through; come see us for any of your auto repair needs.